Our driver will welcome you to the Palermo airport and then bring you to your charming 4-star hotel in the city center. Enjoy dinner on your own. 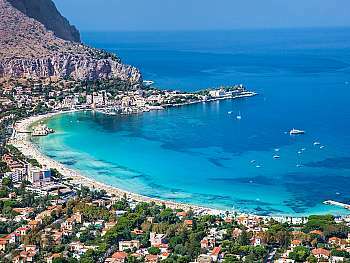 Today you’ll be enchanted by Palermo’s wide boulevards, traditional old quarter, and baroque palaces. 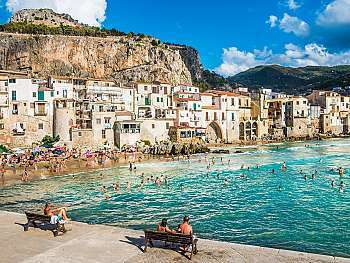 See the city’s main sights, including the Cathedral of Palermo and Quattro Canti, the extravagant baroque square ringed by buildings and sculptures. Spend the afternoon discovering the splendor of the nearby Monreale Cathedral. Dating from the 12th Century, it shows the architectural influences of both the Normans and the Arab population. Depart for Segesta to visit its magnificent Greek Theater and Doric Temple. Transfer to Montallegro, the small village home to Capitolo 1 restaurant, where you will enjoy a fantastic lunch. Continue to Agrigento’s beautiful Valley of the Temples, one of the most representative sites of Greek civilization in the Mediterranean. 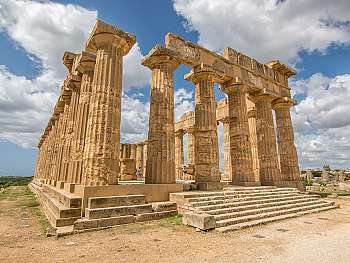 Visit the temples of Hercules, Juno, and Concordia, plus the beautiful Garden of Kolymbetra. 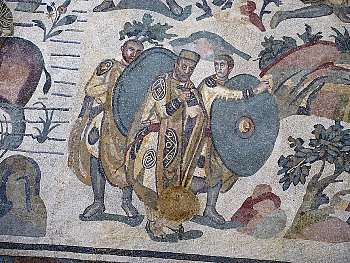 Piazza Armerina is famous for the extraordinary floor mosaics in the Roman Villa del Casale, a 3rd Century villa. These dazzling mosaics are among some of the best-preserved in the world, depicting scenes from everyday life, including children at play and big game hunts of the exotic African animals brought to Rome for gladiator games. Spend the rest of the day in Siracusa at your leisure. Meet up with your local guide to explore the historical center of the beautiful hilltop town of Taormina, famous for its Greek-Roman Amphitheater and its enchanting views of the Ionian Sea and Mount Etna. Enjoy a refreshing, and authentic, icy Sicilian granita and then spend the rest of the afternoon at your own pace. Depart for Mount Etna after breakfast, admiring the beautiful volcanic landscape along the way. Ascend 1800 meters above sea level to Rifugio Sapienza, where, after a short walk, you will reach the inactive Silvestri Craters. Return to Taormina for an afternoon of leisure. Enjoy breakfast at your hotel before departing to the Catania airport, where you will receive assistance with check-in. Entrance fees are not included. Please prepare to pay approximately 50 Euros per person locally. Hotels can be substituted with others based on availability.